I am a retired chemist and high school chemistry teacher with a passion for improving the lives of others through education and a long history of doing so in a variety of situations. When I tutor someone, I like to start by finding out what they already know and what their needs are. Then, I tailor my lesson to the needs of the person receiving my services. My main area of expertise is chemistry. However, I can also tutor students in arithmetic, algebra, geometry, physics, history, and English grammar. I maintained a grade point average greater than 3.5 in a 4.0 system from first grade through college and have done very well on standardized tests, so I could also tutor those who need to pass standardized tests. I have a Bachelor's degree in chemistry with a minor in mathematics. In undergraduate school, I served as a member of the Tutorial Staff. In graduate school, I took courses in biochemistry and organic chemistry and worked as a graduate teaching assistant. I taught the laboratory and problem-solving sessions associated with the freshman chemistry course. I have a Master's degree in secondary teaching with a concentration in special education. Prior to retiring, I was certified to teach chemistry and physical science for grades 6-12 in Delaware, where I taught high school chemistry and physics. I was also certified as a Teacher of Exceptional Children for grades K-12. As the mother of a special needs son with autism, I understand the importance of recognizing the unique needs, interests, and abilities of each person and like to incorporate them into my lessons. I am continuing to apply this principle as a volunteer math tutor in a job training program for students who also need to improve their academic skills to graduate from the program. I have over twenty years of experience as a research chemist in the pharmaceutical industry. I was responsible for developing and using methods to make, purify, and analyze new compounds in order to discover new treatments for a variety of medical conditions. I was often one of the first in my department to embrace and learn new technologies. I eagerly passed on what I learned to others. I am a very serious student of the Bible and can also tutor people in Biblical studies. My preparation includes courses and seminars offered in churches and self-study. As I learn, I pass what I learn on to others and I learn from them. I have 20 years of experience teaching adults and children Biblical principles of living in a variety of formats. I have taught Sunday School in my church and Vacation Bible School in churches, community centers, and private homes. In addition, I have facilitated Bible study discussions in private homes and at lunch-time get-togethers. In summary, I enjoy tutoring students at all stages of life from elementary school to college and adults seeking to qualify for a better job by passing an exam or course. I have extensive experience teaching and tutoring people in chemistry, math, and Biblical studies, but can also teach English grammar, history, and physics. I like to tailor my lessons to meet the needs, abilities, and interests of the individual student. I believe in using what the student knows, can do, and likes to do to teach him or her what is needed to meet the student's desired goals. I have always performed well in English Language Arts courses from elementary school through college, including Grammar. I passed the Praxis I Reading (5710 - scored 184) and the Praxis I Writing (5720 - scored 178) Exams. I have tutored several students in reading. I have written articles that have been published in scientific and historical/genealogical journals and given oral and poster presentations before scientific and historical/genealogical organizations. I have a Master's Degree in Secondary Teaching with a concentration in Special Education, including Reading. I've always done well in English Language Arts courses and on standardized tests in reading and writing. I have tutored several students (children and adults) in reading, spelling, and vocabulary. I have always performed well in English Language Arts courses and on standardized ELA courses. I passed the Praxis I Writing Exam (5720 - scored 178). I have a very good written and oral command of the English language. I have written articles that have been published in scientific and historical/genealogical journals. I have an intense in the history of the United States, especially as it pertains to the African American experience. I have been researching my family history and the history of the United States and the areas where they lived in order to understand the context of the times in which they lived. I am a member of the Delaware Chapter of the Afro-American Historical and Genealogical Society. 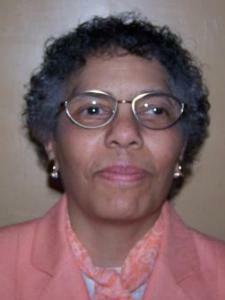 I serve on its Executive Committee, have given oral and poster board presentations at its meetings, and written articles that have been published in the nationally distributed Newsletter of the Afro-American Historical and Genealogical Society. I performed well in all of my history and Government courses in high school and college. I am an avid student of the Bible who loves to share and discuss the topic with anyone who is interested. I taught and facilitated Biblical Study lessons for adults and children for over 25 years through my church. My range of experience includes teaching/facilitating Sunday School, Vacation Bible School, a monthly Bible class for children, and monthly small group in-home Bible Study meetings. I also shared a rotating facilitation responsibility for a weekly lunchtime Bible Study meeting on my job for five years. I had a fantastic and tremendously inspiring government teacher in high school. I grew up in the Washington D.C. area, so much of what was local news to us was national news to the rest of the country. As a result of our dynamic classroom discussions, I learned a lot about the structure and inner workings of government, as well as the political side of it. What she taught me has inspired me to be a volunteer for the political campaigns of several people running for offices on the local, state, and national level. It has also led me to attend events sponsored by elected officials and to express my opinion to elected officials on issues that were of importance to me. I have tutored students in algebra 1 and other areas of math for four years. My students range from third grade through high school, as well as, adults needing to learn math basic skills in order to qualify for a variety of jobs. I have always done very well on standardized math exams, such as the SAT test and Praxis I Math. I also tutored students in math when I was in college. I have also taught high school chemistry and physics and college freshman chemistry problem-solving classes. As a part of my courses, I had to teach students math, including algebra, geometry, and trigonometry so they can work the problems. I was a chemist for more than 30 years. I am certified in Delaware as a Highly Qualified Teacher of Chemistry and have one year of experience teaching high school chemistry. I have been tutoring adults and children in basic math for four years. My students range from third grade through high school, as well as, adults needing to learn math basic skills in order to qualify for a variety of jobs. I have always done very well on standardized math exams, such as the SAT test and Praxis I Math. I tutored students in math when I was in college. I have also taught high school chemistry and physics and college freshman chemistry problem-solving classes. As a part of my courses, I had to teach students math, including prealgebra. I have a B.A. in chemistry and have taken graduate level courses in Organic Chemistry Mechanisms and in Biochemistry. I was a synthetic organic chemist in the pharmaceutical industry for over 30 years. I routinely prepared written and oral reports for my colleagues and upper management on work I performed so that informed decisions could be made regarding the projects on which I worked. I also taught high school chemistry for one year. Before retiring, I was certified as a Teacher of Physical Science in Delaware. I taught high school chemistry and physics for one year. I also have 30 years of experience as a chemist. I've taken special educations courses in special education elementary curriculum, assistive technology, assessment, diagnosis, and IEP development, and applied behavior analysis. I also passed the Praxis II 0354 Special Education Content Knowledge exam with a 184, and am certified to teach exceptional children in Delaware for grades K-12. I have an adult son who is autistic and has a intellectual disability, so I have experience in communicating with people with disabilities and negotiating the process of procuring services for them as children and as adults. I have taken and passed the Praxis I reading, math, and writing tests with scores of 184, 185, and 178, respectively. I have also passed the Praxis II Chemistry (0245- scored 176 ), Physical Science (0281- scored 180), Middle School Math (0069 -score 175), and Special Education (0354- scored 184) exams. I have tutored several students for the Praxis I Math and Reading tests. Rosalyn is calm, patient and knowledgeable - an ideal tutor! She communicates well, and helps make challenging math problems accessible. We will definitely use her again. Ms. Rosalyn is a great tutor for my grandson. She's very pleasant, patient and takes her time explaining and figuring out math problems. She also talks to the parent after the session to let you know what progress has been made. My 11 year old grandson told me to give her a five star rating because he said she was great! He likes tutoring because he feels like he can understand it better. Rosalyn is very patient, kind and knowledgeable. She taught my daughter Algebra in a way that was easy to grasp. I highly recommend her! Thank you. It's a pleasure to work with her and I am glad that she is learning what she needs to be successful. My 14-year-old daughter liked each session so far. She has had two. She has more confidence and believes she’ll pass her math class this semester. After every session my daughter tells me how it went and every time it’s been positive. Rosalyn is teaching my son basic concepts of algebra and how to retain math skills. My son stated she is great providing more information than his teacher. Patient, kind, caring instructor. Thank you. I am very happy that I have been able to help him and look forward to continuing to do so. Rosalyn is understanding and patient helping my son with his Pre-algebra study. She is always on time and encouraging. She is willing to look over his upcoming school work so she will be prepared to keep him on task. Rosalyn is doing a great job tutoring my son. He has some difficulties with memorization and Rosalyn has the background to help him. I would definitley recommend her to others. Thank you so much. It's been a pleasure to tutor your son. He was struggling the 2nd quarter in math and was on danger of failing. She asked him a what he was currently learning. Fractions was his current issue. Within the hours he finally understood how to multiply and divide fractions! He had a test 2 days later and scored a B! Awesome! So happy to hear that. Rosalyn helped my son with his syllables and is very patient. She helped my daughter with her maths. She is very smart, have a lot of patience. Thank you. It's a pleasure to be of service to you and your children.